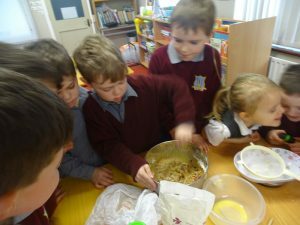 Pupils from 1st, 2nd & 3rd class are working on procedural writing since Halloween and wrote about how to make a tea brack. The best part was making the tea brack where each group took turns in weighing out the ingredients, smelling the mixed spices and mixing the ingredients together. 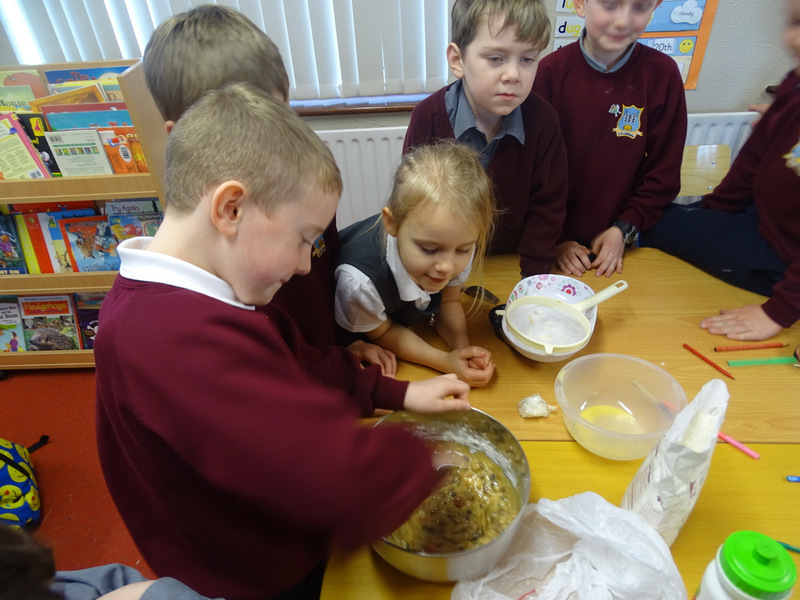 There was a lovely smell while they were baking and we couldn’t wait to taste them. It was worth the wait! They were delicious and we are looking forward to our next day baking!